A sudden change in a toddler's behavior is a cause for concern. Drastic personality changes or inexplicable new reactions to normal events that used to be no problem could be an indication of serious problems, including abuse, bullying, depression and behavioral issues. Behaviors to look out for include sudden aggression toward people or animals, fits of anger and disrespect toward elders, temper tantrums and constant disobedience. Your child might show intense fear or anxiety around a particular person, place or circumstance that didn't cause that reaction before. The website Solutions for Child Problems also recommends keeping an eye out for your child withdrawing or isolating herself, making negative comments about herself or becoming overly fearful of making a mistake. Sudden weight loss or weight gain can also be signs of a problem, notes HealthyChildren.org, as can regressive behavior such as wetting or soiling clothes after potty-training has been accomplished, thumb-sucking, excessive clinginess or babyish actions. Drastic changes in a child's personality could point to abuse of some sort. Examine your child's body for bruises or marks, according to HealthyChildren.org, or any injury that can't be explained. Listen if your child complains about tenderness or soreness anywhere on her body. Then take your suspicions directly to your child's pediatrician. The sooner your child gets help, the better. Meltdowns are pretty common for toddlers, but if your child is suddenly having frequent and intense tantrums, an underlying issue might exist, according to a 2007 article on MSNBC.com. The article "Bratty or a Behavior Disorder?" lists telltale signs of disruptive behavior disorder, which include temper tantrums that last as long as 20 minutes and occur as many as 10 times a day. 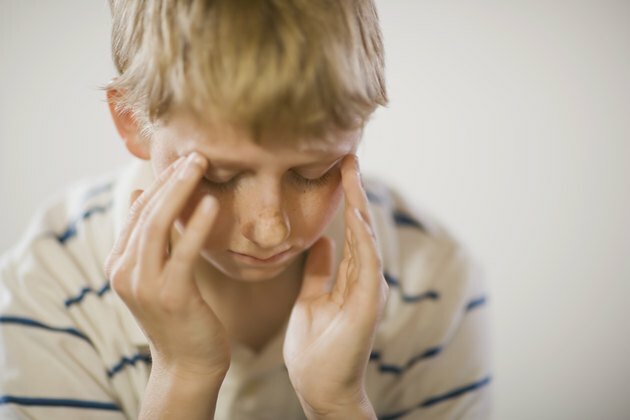 Children with DBD might also be physically aggressive and lash out at peers and adults alike. They are also inflexibly defiant, refusing to comply with even the most reasonable request. You might need the help of a therapist or even medication to restore your toddler's calm. Toddlers can experience depression. The website PsychCentral reports that toddlers are just as likely to suffer from clinical depression as adults. Signs your little one is going through this include sudden withdrawal from activities or people she once enjoyed, lethargy and changes in sleeping and eating habits. She might cry excessively, be overly irritable or sad, or show no enthusiasm for anything. She might also display a negative opinion of herself and be extremely sensitive to failure or rejection. She might exhibit major developmental delays such as not walking or expressing herself. Discuss your concerns with your child's pediatrician immediately. MSNBC: Bratty or a Behavior Disorder?